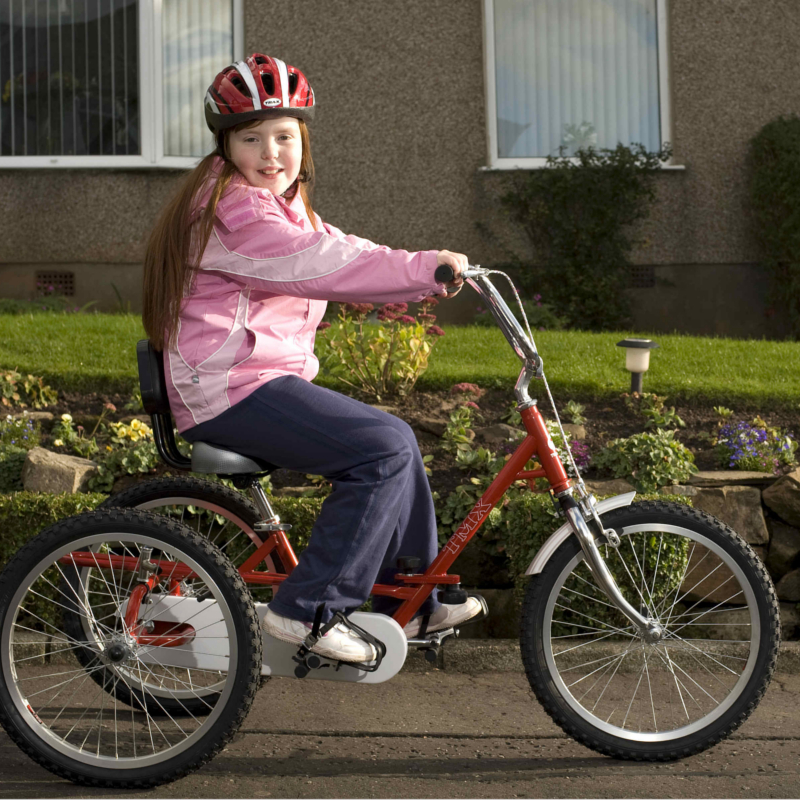 The TMX a robust tricycle designed to accommodate larger and heavier children. 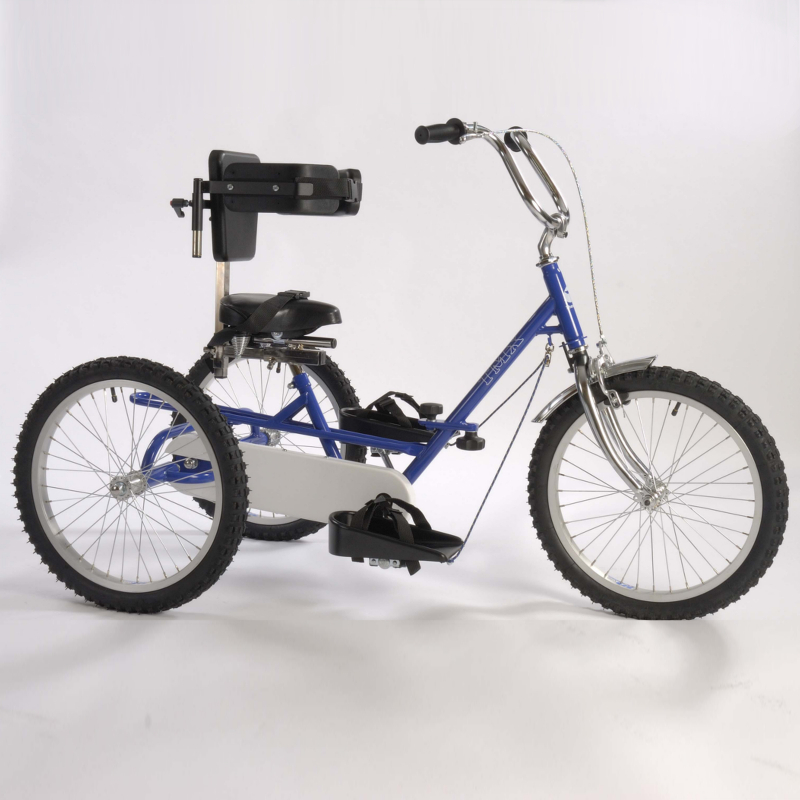 The tricycle has an alloy caliper brake with a parking brake mechanism. 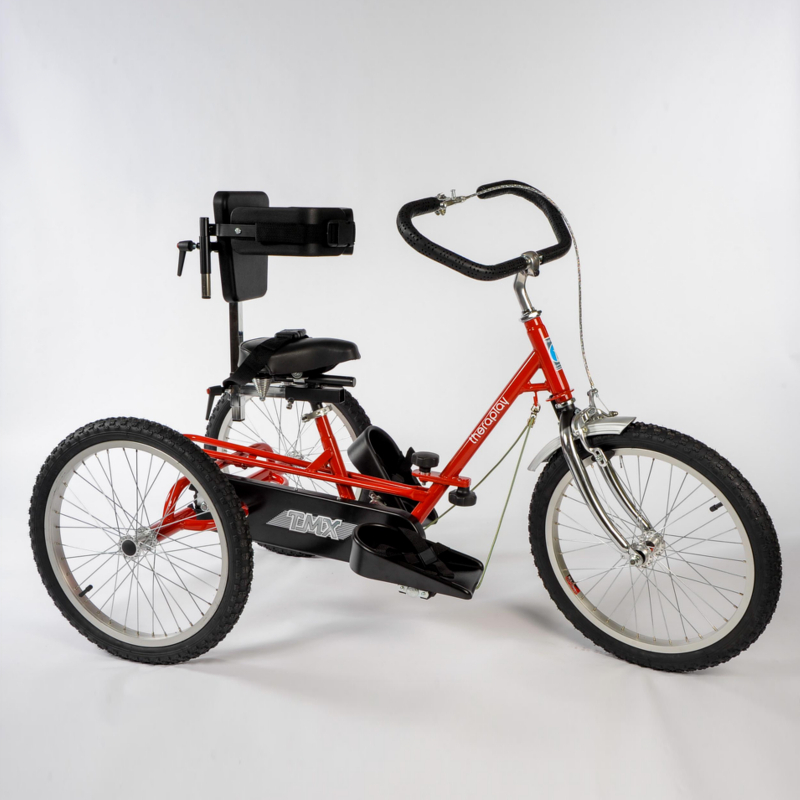 The TMX offers a frame folding mechanism option which allows the frame to be folded for transportation and storage.